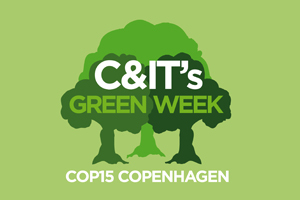 C&IT GREEN WEEK: The Danish government has invested €700,000 in offsetting carbon emissions from transport to COP15, the UN Climate Change Conference currently taking place in Copenhagen. Under the UN host agreement, Copenhagen was only obliged to offset emissions from local transportation, which made up 10% of emissions. However, the Danish government decided to also offset CO2 emissions from the thousands of delegates flying to and from Denmark, through investment in the CDM project in Bangladesh. "We were only required to compensate for local emissions, but Denmark voluntarily decided to compensate for all emissions to showcase our commitment to sustainability," said Jan-Christoph Napierski, head of section at the COP15 logistic unit of the Denmark Ministry of Foreign Affairs. "We're also not only compensating for CO2 but other harmful greenhouse gases as well." "This is probably one of the largest offsetting programmes that has ever been done for an event," added Guy Bigwood, group sustainability director at MCI, which was involved in organising and greening the event.